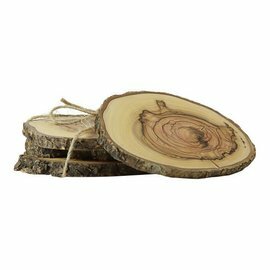 Unique wooden coasters for glasses and mugs. The characteristic bark of the olive tree is beautifully visible. A must have item to protect your table. Olive wood is one of the hardest kinds of wood and has unique qualities. 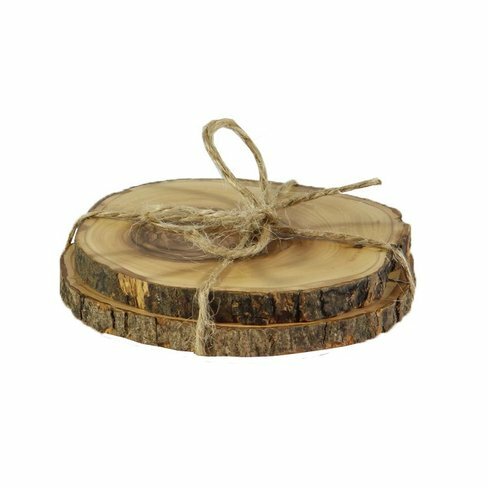 Because the wood is that dense, fluids from food and drinks can not penetrate the wood. 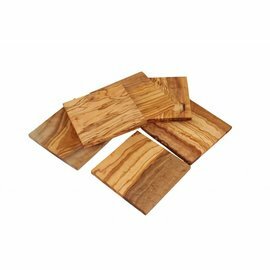 This is enhanced by the presence of oil in the wood which ensures that olive wood is the most hygienic wood in combination with food. You can clean the product with hand warm water and every now and then use olive oil or our special oil or wax for better protection. This product is made sustainable and durable in Amman, Jordan. 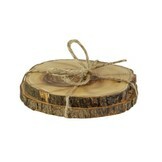 The wooden coasters have a diameter of minimal 7.5 centimeter and are about 0.5 centimeter thick.